With 19 years of experience in the surgical technology field, Heather has been employed with Stark State College since 2016. She has experience in teaching various courses in the program along with experience in directing a surgical technology program. She graduated from Argosy University with a master of arts degree in adult education and training and holds a bachelor of science degree in technical education and an associate of applied science degree with concentration in surgical technology, both from The University of Akron. As the program coordinator, she is able to utilize her skills, experience and dedication to the profession to build the surgical technology program and promote student success. In her free time, she enjoys golfing, watching her children participate in their sporting activities and spending any free time with family and friends. A registered respiratory therapist since 1979, Debbie has worked in some role of supervision for the majority of her career. She started her career in the hospital, primarily working in intensive care and emergency medicine. 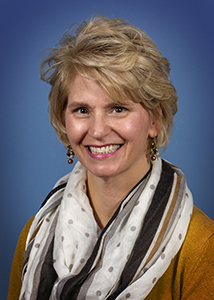 However, she found her true passion in rehabilitation and patient, family and staff education, specializing in this area for 23 years prior to coming to Stark State in 2010. It was a natural transition from the hospital setting to academia when she was hired as the respiratory care program coordinator and department chair for respiratory care and medical instrument sterilization. She has been instrumental in creating several new health programs for the College, including surgical technology, surgical assisting and ophthalmology. 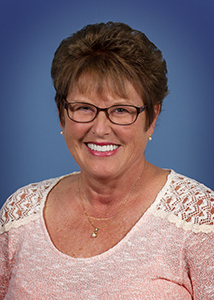 Debbie’s role has expanded over the years to her current position as department chair of respiratory, laboratory and surgical technology programs. In her free time, she enjoys reading, traveling, and, most importantly, spending time with her grandchildren. 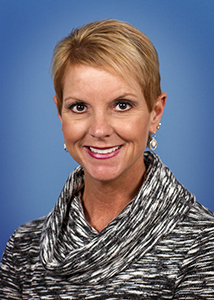 Brooke has been credentialed as a registered respiratory therapist and a practicing RRT since 1998. Her areas of expertise are critical care and neonatal/pediatric respiratory care. Because of her experience in neonatal/pediatric respiratory care, she also earned the neonatal/pediatric specialty certification. In addition, Brooke is a basic life support and neonatal resuscitation provider instructor. She also is certified in advanced cardiac life support and pediatric advanced life support. Brooke also is very active in simulation training and uses simulation training in all student clinical experiences. As the clinical coordinator for the respiratory care program, she is able to share her critical care experience and knowledge of evidence-based practice to enhance student critical thinking and decision-making skills while fostering student success. 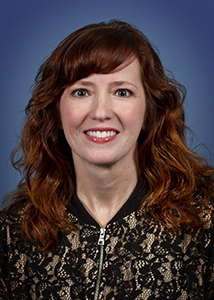 With more than 20 years of experience as a surgical first assistant/surgical technologist and preceptor, Kerry has been employed with Stark State since 2004. She worked at Mercy Medical Center for 20 years in all surgical specialties and currently is employed PRN at Ohio Specialty Surgical Services. Kerry started at SSC as an adjunct clinical coordinator/instructor for MIST and developed the clinical portion of the program. She then began full-time in 2012 as MIST program/clinical coordinator and now is program coordinator for surgical assisting and MIST. Excited about being an integral part of a new surgical program that will fill a need in the community, she’s thrilled to share her experience both clinically and didactically with her students. On a personal note, Kerry and her husband are licensed foster-to-adopt parents and she enjoys family time, cooking and sports. 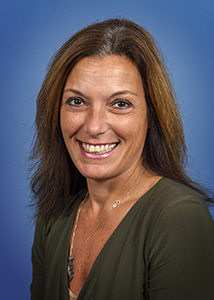 With 11 years of experience in the surgical technology field, Julie has been employed with Stark State College since 2016. She has experience in teaching various courses in the surgical technology program along with experience in managing, instructing and clinical coordinating. She graduated from Argosy University with a bachelor of arts degree in clinical psychology and has an associate of applied science degree with concentration in surgical technology from The University of Akron. As the instructor/clinical coordinator, she is able to use her previous experiences, skills, and dedication to the profession to promote the surgical technology program and increase student success. In her spare time, she enjoys traveling to different countries with her husband, kayaking, boating, hiking and spending quality time with her family and friends. Corinne Zellers has been employed with Stark State College since 2005 and has 12 years of experience as a medical technologist. For the last three years, she has held the position of program coordinator for the medical laboratory technology program at Stark State. 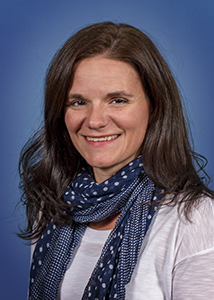 After graduating with her master’s degree from Akron University, Corinne assisted in the development and initial National Accrediting Agency for Clinical Laboratory Science accreditation of an associate of applied science in medical laboratory technician program at Herzing University. As a full-time instructor and administrator in Stark State’s medical laboratory program, Corinne is able to use her skills to maintain program accreditation by NAACLS, manage student learning experiences, design curriculum and instructional objectives according to NAACLS guidelines, and manage and maintain clinical affiliations and articulations. In her free time, she enjoys spending quality time with her family and gardening.